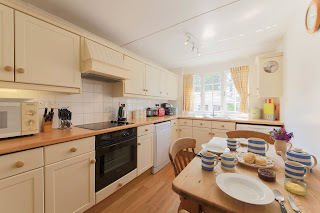 Cottage Holidays Cornwall offers a variety of self catering holiday accommodation in a cottage, apartment, and yurt. Albion Cottage has been converted from a stable & carriage house into a spacious holiday home. With three bedrooms and plenty of space indoors & out, it's perfect for a family break. 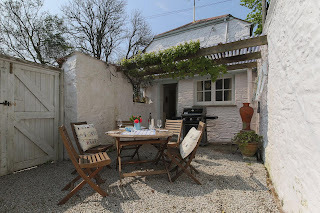 The back door leads to a private courtyard, ideal for evening barbecues. The Courtyard Apartment has views over the garden and extensive views for miles over fields and wooded country. The apartment has its own entry from a small shared courtyard. Guests are welcome to use the large garden, orchard and grass tennis court. The environmentally friendly yurt is the newest addition. The yurt is set alone in a secluded corner at the top of a southwest facing field. It is fully equipped for that ‘back to nature’ experience & comes with all the home comforts you need. Look up at the night sky through the roof light, peel back the sides to allow the air in or snuggle up around the wood burning stove or sit by the campfire. Mylor lies within an Area of Outstanding Natural Beauty and is perfectly situated for exploring Cornwall. Lots of activities including sailing, garden trips, creek walks and beaches are also nearby. The village of Mylor Bridge is about a 10 minute walk and has an excellent village shop, newsagent, post office, butcher and fish shop.